In the days leading up to Christmas, I try to have a fun activity planned for each day. 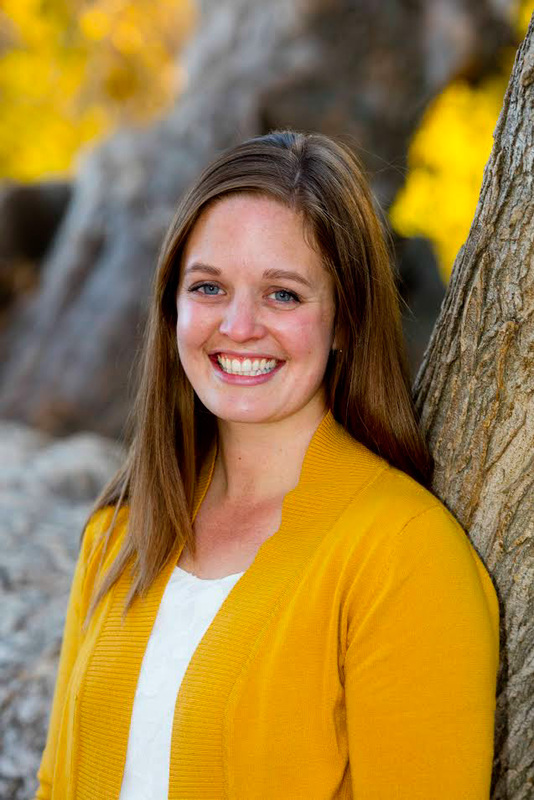 It helps build up the anticipation, while also releasing a little of the excitement that threatens to overwhelm my kids at each and every moment. One of my favorite ways to spend time before the big day is making Thank You cards with my kids. I'm a big believe in sending a written thank you card for gifts received, and I'm trying to pass that on to my children as well. So each year we make a few cards together to both celebrate the holiday and prepare for afterward. 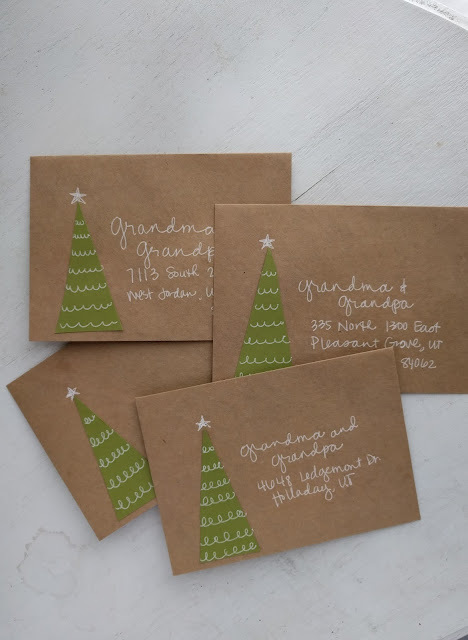 This year we made sweet and simple tree cards, and I'm so happy with how they turned out. 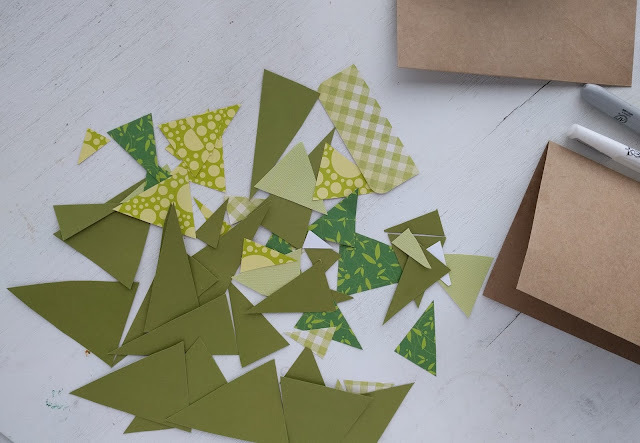 Cut out triangles of various sizes from the green and patterned paper. 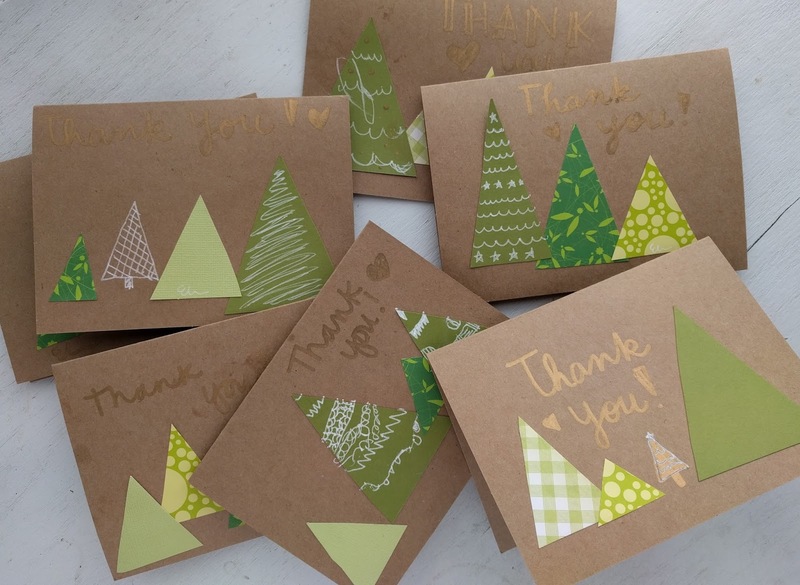 Arrange the triangles to look like trees on your card and glue them down. Add additional embellishments (swirls, scallops, stars, etc.) to your trees using the white gel pen. You can also add trunks to the trees, if desired. 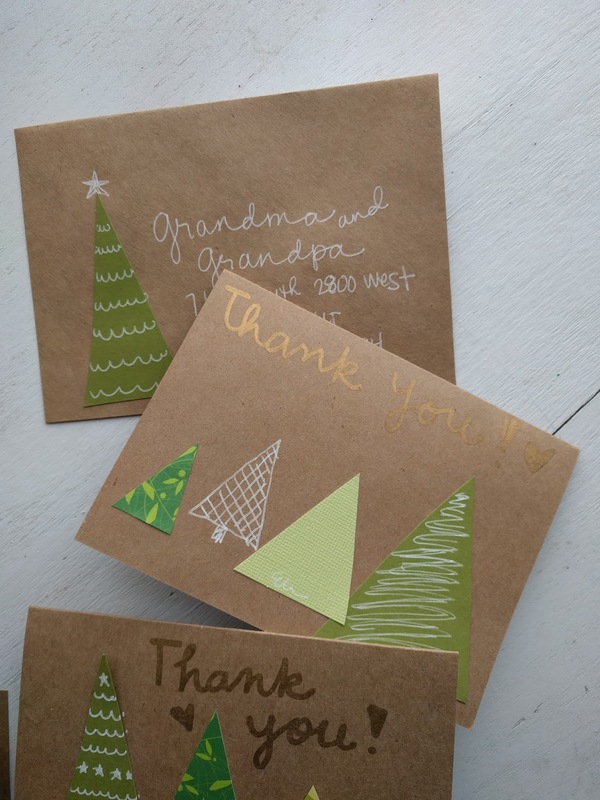 Using the metallic sharpie, write "Thank You" above the trees. This could be done with stamps or stickers as well. We also added trees to the front of the envelope and wrote the addresses in white gel pen. Let everything dry and you're all done.